So far you’ve learned lots of recipes for keeping your home clean. From the bathroom to the kitchen and laundry, you’ve discovered how to keep things fresh and sparkling without the use of toxic cleaners. Today you’ll find out how to polish furniture and keep your home dust free! 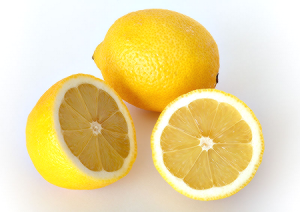 i) Combine 1/4 cup white vinegar with a few drops of jojoba or olive oil and 2 drops lemon essential oil. ii) Mix 3 parts olive or jojoba oil with 1 part lemon juice or white vinegar and one drop lemon essential oil. i) mix ¼ cup olive oil with a few drops of lemon essential oil. i) combine ¼ cup white vinegar, ¼ tsp liquid castile and water. An excellent way to kill the house dust mite is to ‘damp dust’. Make an infusion of strong black tea, and use this to ‘dust’ surfaces in the home. The tannin in the tea is known to eradicate the house dust mite, plus the action of damp dusting prevents the dust simply rising up and floating to another place.